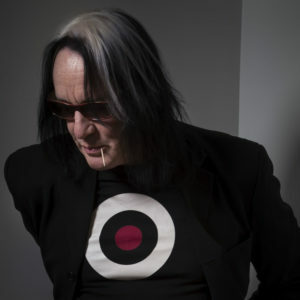 Todd Rundgren, legendary songwriter, musician, interactive artist, producer and nominee for the Rock & Roll Hall of Fame, released his book The Individualist: digressions, dreams and dissertations on December 21, 2018. Rundgren penned his first ever autobiography reflecting on both his phenomenal career as well as his rollercoaster of a personal life with pages of recollections, structured into bite-sized single-page three-paragraph chapters about encounters with rock royalty including Janis Joplin, Brian Wilson, Ringo Starr, Patti Smith, The NY Dolls, and Meat Loaf, along with numerous photos never before published. In conjunction with the release, Rundgren is embarking on the world’s first hybrid concert/book tour, highlighting both hits and “deep tracks” spanning his 50- year career, which will include shows in North America, the UK, Europe, and Japan. Born and raised in Philadelphia, Rundgren began playing guitar as a teenager, going on to found and front Nazz, the quintessential `60’s psychedelic group. In 1969, he left the band to pursue a solo career, recording his debut offering, Runt. But it was 1972’s seminal Something/Anything?, on which he played all the instruments, sang all the vocal parts, and acted as his own producer, that catapulted Todd into the superstar limelight, prompting the press to unanimously dub him ‘Rock’s New Wunderkind.’ It was followed by such landmark LPs as The Hermit of Mink Hollow and A Wizard, A True Star, as well as such hit singles as I Saw The Light, Hello It’s Me, Can We Still Be Friends, and Bang The Drum.